You may have to attend some stuffy event, but at least you can do so while a space battle rages on your tie! 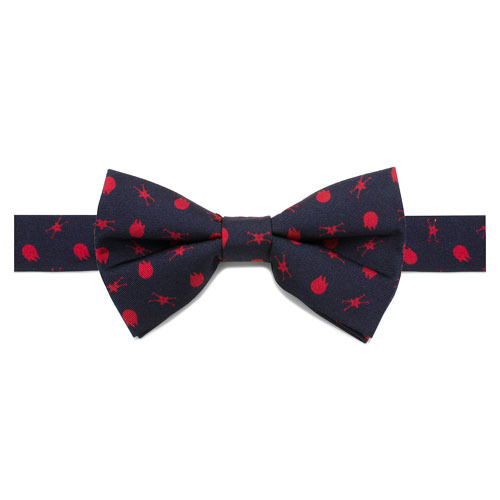 This Star Wars Battle Ships Boys Large Silk Bowtie measures approximately 4-inches wide x 2 3/8-inches tall and features a cool repeating pattern of the X-Wing and Millennium Falcon star ships from the ever-popular Star Wars film in red on a navy blue background. 100% Silk. Pre-tied bow with easy-on, easy-off hook closure. Best suited for ages 6-12.